Not everyone is lucky to have families and relatives that care for them. To some people, relatives are a source of nuisance. But we can't erase the fact that these people, especially those who were older than us, also shape who we are and sometimes guide us. 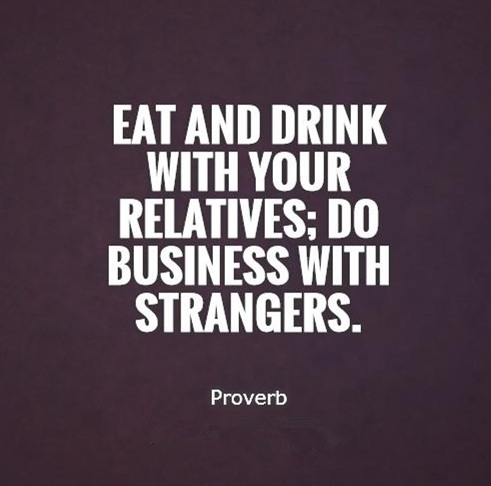 Here are some quotes on relatives which may be heartwarming, funny or sad, fine the one you love! If you don't have a family that cares for you, a relative or a friend is enough for you to pull through. Respects between relatives is important. Even if you don't always see eye to eye, they're still a part of who you are. They fill our empty lives with love and kindness. We all stay in a flock, that's what relatives are. You see yourself from them. Learn from the lives of those who lived before us. We can't choose relatives, but we can choose friends. We can't live alone, we need friends, family and relatives. Family, relatives and friends are our first true fans. Have you got the point? Talk to them and appreciate them while they are still around. Being with your relatives is being with a tribe that understands who you are. Relatives can't be on behalf of you. There is at least one person who would stand with you and it could be a relative. Our perished relatives will stay in our hearts forever. The challenges you face together will also be your strength. Always appreciate the relatives who never leave you. Our relatives in the past generations have valuable wisdom they can impart on us. If we are lucky, we can also meet relatives and friend not bonded by blood. A very sad truth told by one of these quotes on relatives. Helping one another is the least we can do to our relatives.